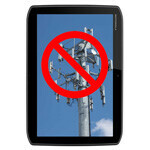 According to results collected by NPD Group, the adoption of cellular data connections by tablet users is falling over time as more users embrace a Wi-Fi-only model for their devices. In spring of this year 60% of tablet owners used only Wi-Fi on their tablets, but that figure has now grown to 65%. NPD found 6 months ago that 5% of Wi-Fi-only tablet users planned to adopt a cellular data connection, but that clearly wasn’t representative of tablet buyers since, as the overall number has fallen fallen by 5%. The most likely explanation is the high cost of a second data plan for a tablet, coupled with the prevalence of Wi-Fi hotspots and different usage patterns; you need to be able to receive a call on your phone anywhere, but most people still view the ability to access data on a tablet away from Wi-Fi to be something of a luxury. Mobile networks have been hinting towards shared data plans to address this, and starting sometime in 2012 it may be possible for a single data plan to support both a phone and a tablet – or in the case of a family plan, several different devices. Mobile carriers may have to act aggressively if they hope to draw in more tablet use to their networks, as tablets are still in the early-adopter stage, a consumer group that is generally less price-conscious than consumers as a whole. If early adopters are already shirking data plans, then broader adoption may depend strongly on cost. The advent of inexpensive smaller Wi-Fi tablets like the Kindle Fire may already be showing what a more mass-market approach is to tablets. First. Who would pay extra money for capped 3G service on a tablet? Wow, way to be obvious, PA. Bigger screen means you need a bigger battery, like an extended battery so that your phone is both heavier and bulkier. Or you need to carry an extra battery or juice pack. Add 4G service and your battery life is shot. I talked to the Verizon folks and that double data promo doesn't apply to the mobile hotspot. That is to say if I get 10 Gb and it doubles to 20 GB, that 20 GB isn't shared with my iPad2 or laptop. Even I did pay more for the tethering, I only get the 2GB associated with the tethering plan. I know the carriers are making money on the data plans -- $10 per extra GB is a rip off. If Verizon was smart, they should charge one rate for prime time (aka peak service) and a lower rate for off-peak. Did you know the return rate is about 15%. This was based on a study of the online reviews on Amazon.com. It may be cheap and simple, but it's crap. See, now with some high end android phones you can start your own internet Hotspot so let's think about the economics about getting a 3G/LTE enabled tab, 1. Theyre $100 more expensive 2. That doesn't include paying for plans 3. There is not always coverage He only real reason to get a 3G enabled is if you travel around he country a lot, but if you're just using it for school or whevs you do not need 3G. Who wants to pay more for a bit of hardware when you already have a wifi hotspot ability in your phone.